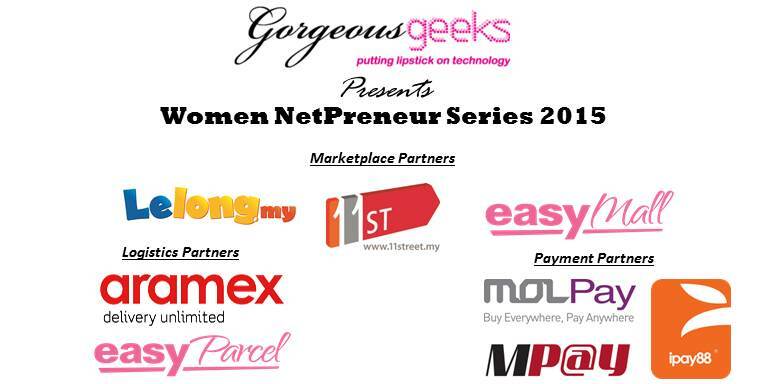 Gorgeous Geeks is bringing the big brother of E-Marketplaces to you this March. Lelong.my, EasyMall & 11Street will be here to welcome you to sell at their platforms.That’s not all, logistics companies such as Aramex & EasyParcel, along with reputable payment gateway players such as iPay88, MOLPay & MPay will be there to provide end-to-end support to bring your offline business to online.All are welcome (men & women). Copyright © 2013-2014 Gorgeous Geeks. Powered by Techmaki.